Congratulations to Shawn Taylor for winning this year’s competition. 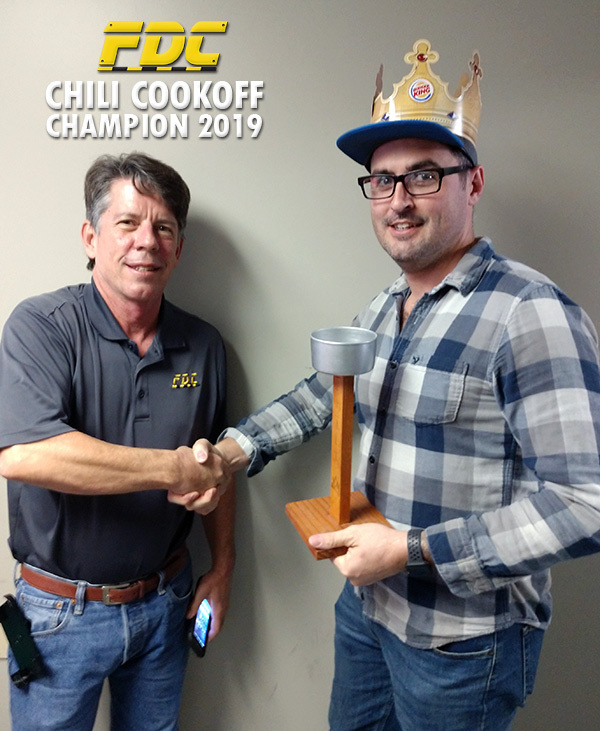 Here is a picture of FDC President Glenn Harpold presenting Shawn with his Chili Champion trophy. Shawn made spicy lamb chili that gave a little kick with every bite. Visit FDC's profile on Pinterest. Florida Door Control of Orlando, Inc. Blog. Access control, revenue parking, and security products and news. Florida Door Control of Orlando, Inc.
Florida Door Control of Orlando, Inc. was founded in 1978 by Robert and Barbara Harpold with a vision, determination, and one service vehicle. When Florida Door Control began, they specialized in repairing doors and entry systems. Now, more than 3 decades later, Florida Door Control of Orlando, Inc. has become Florida’s high-tech leader in automated access systems and access control solutions specializing in automatic door systems, security gates, card access, parking and traffic control mechanisms, security & surveillance cctv, welding and fabrication, ornamental gate design and fencing with over 40 full-time employees, 20+ service vehicles, and a warehouse fully stocked with current and hard-to-find and obsolete parts. Florida Door Control of Orlando's corporate offices in Melbourne, Florida consist of over 15,000 square feet of office and manufacturing space, where we plan and design jobs for all over the state of Florida, the eastern U.S. and in the Caribbean. 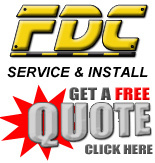 Branch offices in Tampa, Jacksonville, Orlando and Ft. Lauderdale/Miami ensure timely, professional service from FDC personnel, not subcontractors. FDC continues to abide by the standards set during its humble beginnings as Florida Door Control of Orlando, commitment to quality and excellent service. Check out our blog for news on the latest technological advances in access controls, electric gate operators, security gates, automatic doors, parking equipment and parking revenue control systems, vehicle traffic control and monitoring, security and surveillance systems, management systems and more.